"Drinking a toast to the visible world, his impending disappearance from it be damned." 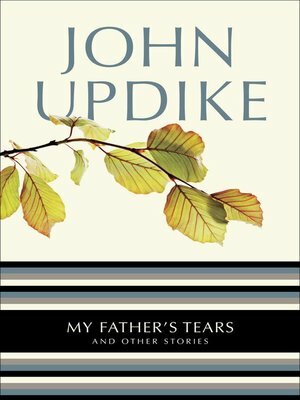 That's how John Updike describes one of his elderly protagonists in this, his final collection of short stories. He might have been writing about himself. In My Father's Tears, the author revisits his signature characters, places, and themes--Americans in suburbs, cities, and small towns grappling with faith and infidelity--in a gallery of portraits of his aging generation, men and women for whom making peace with the past is now paramount. The Seattle Times called My Father's Tears "a haunting collection" that "echoes the melancholy of Chekhov, the romanticism of Wordsworth and the mournful spirit of Yeats."